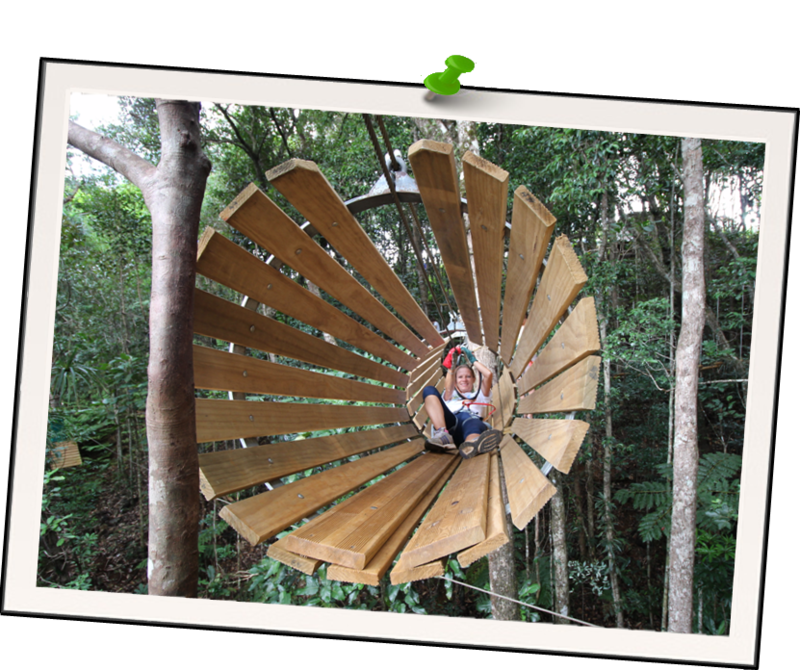 Koghi Adventure Park, another way to discover the canopy! Situated at 500m altitude, the Mont-Koghi rain forest is a rich and diverse biosphere. As you climb the trees, don’t forget to admire the towering ferns (17m tall!) and the endemic palm trees. Look out for the fauna too! The park is also frequented by imperial pigeons, Caledonian crows and the horned parakeet. All the trails are equipped with a safety line to which you will be attached with abseiling materials which we will provide at the beginning of the session. The use of CliC-IT intelligent karabiners for maximum security. Our trails are inspected by the Véritas quality control inspectors and conform to the European NF-EN 15567 standards. 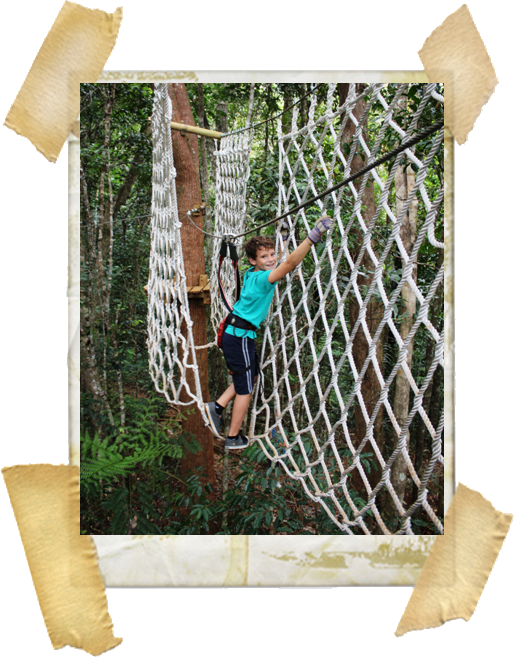 – flying fox trail: for the low-flying adventurer, which climbs to 7m height with Tarzan swings, a net and barrels to cross! 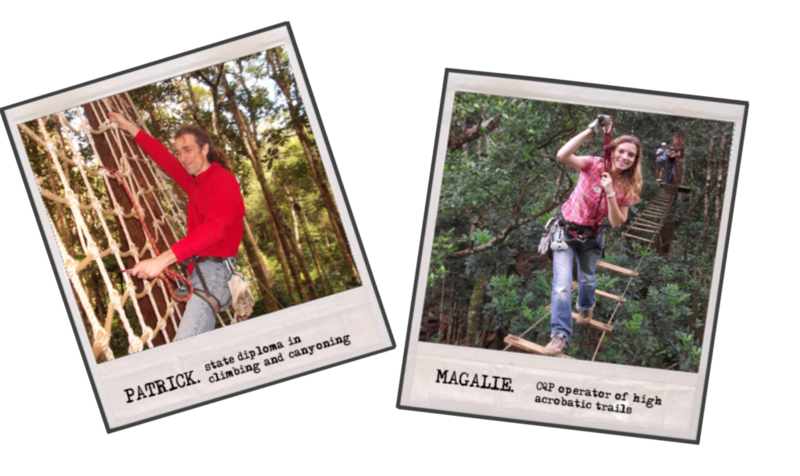 – stick insect trail: we climb a little higher (8m) in this fun family-friendly trail with pirate ship mast and climbing wall! 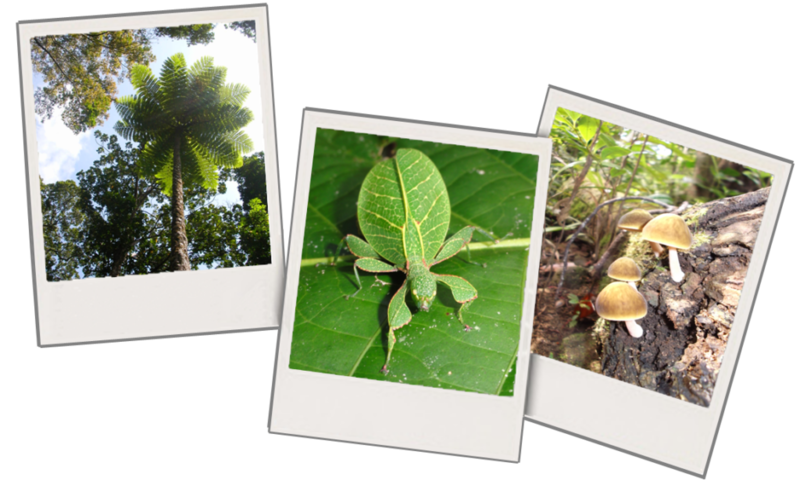 – gecko trail (will you be able to find the giant gecko that lives nearby? ): we start to work your arm muscles with climbing nets and monkey bars and, above all, we offer you a new activity: canopy surfing! Your adrenalin will be flowing when you reach our platform at 12m above the ground! – imperial pigeon trail: only for the bravest. An aerial trail amongst magnificent ferns and overhanging a creek. Luxurious vegetation and a sea view at 20m above the ground! Will you be able to handle the rope ladders and sherwood steps? You’ll be rewarded with a fantastic zip line 70m long at the end of the trail! After being equipped, you will be instructed by one of our operators who will explain the safety rules. This briefing is followed by a test trail you have to complete before accessing the other trails. 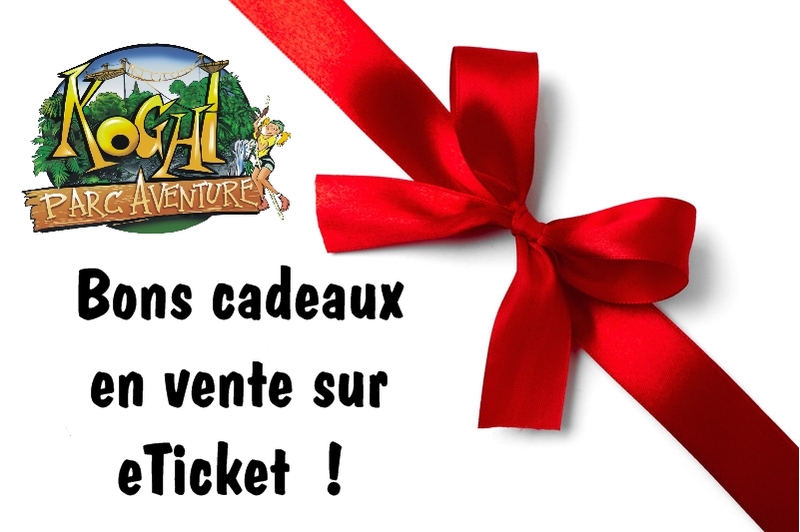 Then, the adventure is all yours! The entry fee offers you access to 3 trails and you are free to choose the levels you wish. we guarantee you’ll have an unforgettable afternoon!!! A dynamic team at your service!